Here at Petrest, we love spending time with our furry friends whenever we can, so we’ve come up with 16 tips to help Fido and Felix stay safe in the sunshine. Enjoy the great British weather for however long it lasts! Summer is great isn’t it? The long nights spent around the BBQ, days spent enjoying a cool breeze on sandy beaches, kicking back and relaxing at a festival, chilling out in beer gardens with friends. All of these are great activities for you, and most of us enjoy spending time in the sunshine, but what about your pets? This one goes without saying really, temperatures inside a car can rise to dangerous levels in just a few minutes, even in the shade, so please don’t leave Fido (or Felix) in the car! In cars, cats and small-medium sized dogs should be in a travel crate designed for them. Larger dogs can travel on the seat as long as they’re properly restrained; we recommend a good harness and clipping Fido into the seatbelt socket. Airlines have their own rules about travel boxes and crates so please contact yours before travelling! Microchipping dogs is now law in the UK, but it’s also a good idea to microchip your cat too. We recommend going that bit further by adding up-to-date ID on your pet’s collar, usually your name and contact number is enough but you may wish to consider putting your vet’s number on there too if your pet is under the vet’s care. You can get a huge array of tags for your pet, including specific “I’m Chipped” tags and “My Vet’s Number” tags, so Felix & Fido can look as fashionable as their owners! If you’ve got some lovely hot weather wherever you are travelling, consider leaving it until the evening to take Fido out on his long walk. Most places are usually hottest between 11am-3pm, this may not be a comfortable walking time for you or your pet! This is a really good tip, having pet-safe medicines (and knowing how and when to use them) can be a life saver if the situation calls for it. You can pick up readymade pet first aid kits from most pet shops, but check with your vet before including any medications your pet doesn’t normally take. If you’re travelling aboard, then this is a must, but if you’re travelling in the UK it’s still strongly advised to have all your pet’s vaccinations up to date. Check with your airline, travel agent, or online advice pages for country-specific required vaccines, as protection against things like rabies is mandatory in some countries. For more advice on travelling abroad with pets, please see the government’s Pet travel website. 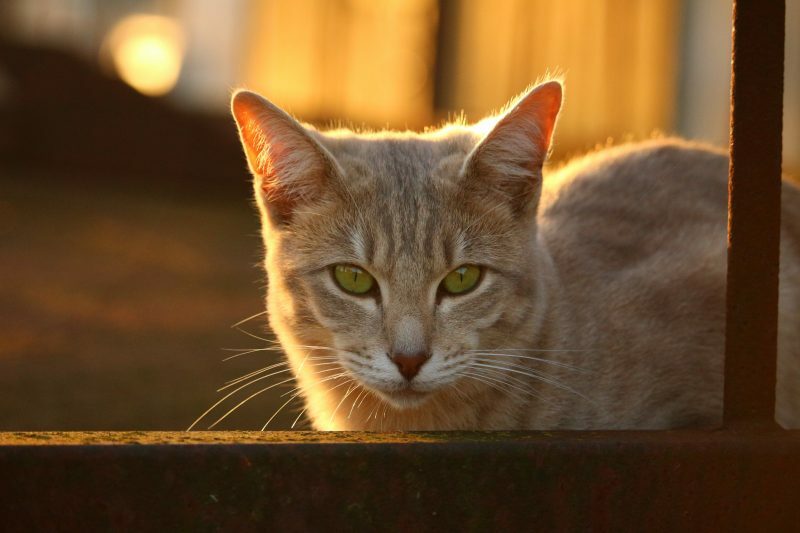 Pets with light coloured or thin fur are especially susceptible to sunburn, and if your pet is a bit of a sun baby, she could be putting her belly, underarms, and ears at risk as these aren’t covered with much fur. There are a few varieties of sunscreen available for pets specifically, talk to your vet about the best options for your fur baby. Heat stress, like heat stroke in humans, can become deadly very quickly. Most of the time, keeping Fido and Felix out of direct sunshine for too long is enough to prevent heat stress, but learning to recognise the symptoms and take action before things get dangerous is vital for any owner. For more info, have a look at this WikiHow. Your pet may love the water, and he may love swimming, but things can quickly take a turn for the worse if he gets out of his depth or falls in accidentally. Consider fitting your pooch with a dog (or cat) specific life vest to keep him afloat if the worst happens. This tip is along the same lines as recognising heat stress symptoms. Keeping an eye on your pet’s temperature is vital in hot weather. While there’s only one way to accurately check (rectal thermometer), using your hand to check the skin temperature is a good gauge while you’re out; so you can take action immediately. For your information, a dog’s temperature should be between 38°C-39.2°C, cats should have a temperature of 37.7°C – 39.1°C. This can be as simple as some shade they can escape to. A kids’ paddling pool works great, as does a hose down with not-too-cold water, using wet towels to pat her down or even letting your fur ball get in the pool with you can really help too. If you choose to take your pet swimming in a pool or the sea, be sure to thoroughly rinse her down afterwards to get rid of any chlorine or salt water from her coat. Use the five second rule for hot ground. 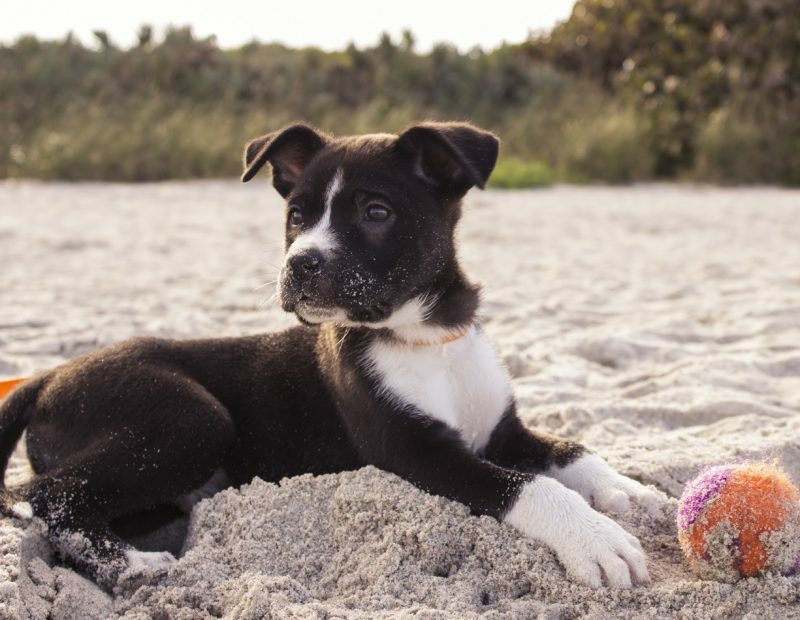 Hold the back of your hand against the tarmac, sand or wherever you’re planning to go, if you can’t comfortably hold your hand there for more than 5 seconds, then it’s too hot for your pup’s paws. Hold off on the walk for a bit, or consider investing in hiking boots for your pet if you really must walk in the heat. Our next tip is all about hydration and its importance for your pet! This is really important! If you’re at home, make sure fresh water is available for your pet at all times, they might not like water that’s been standing for a while so keep an eye on them. When you’re out with your pets, be mindful about the water they drink, don’t allow them to lap up swimming pool water, lakes, dirty rivers or the sea. Preferably carry some water and a bowl for your pet and use it regularly. There are a number of water bottles designed for pets that are a handy way to carry water and a bowl without the bulk. Keeping cool and hydrated can be great fun, consider popping some ice cubes into Fido’s bowl or freezing his favourite treats or toys in a tub of water so he has to lick it to get to them. 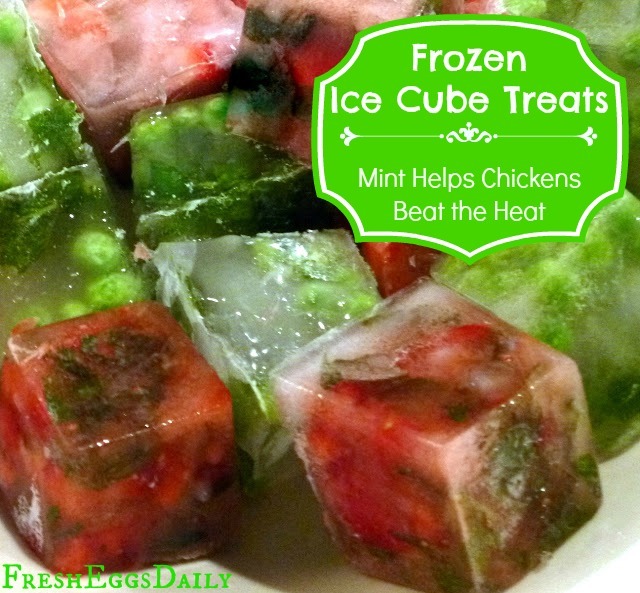 This trick can be used for lots of pets, even domestic chickens like frozen treat ice cubes, check out this post by Fresh Eggs Daily! If you find getting your pet to drink is becoming difficult, this could be a sign of heat stress, do not force her to drink as she could panic and inhale the water into her lungs. Pests such as fleas are a constant bugbear for pet parents, but other problem pests such as mosquitoes, ticks, and bee and wasp stings can be a problem. The safest way to remove ticks is with a dedicated twist tick removal tool, and stings from other insects are usually not a problem, but pets can be allergic too in rare cases. Bathe in a solution of 1 teaspoon bicarbonate of soda to 1 pint of water to neutralise the sting. Alabama Rot has been given a lot of media coverage recently because it can, sadly, become a deadly problem for pets. Learning to spot the signs early and getting vet attention fast is vitally important in the fight to save your pet. Please Vets4Pets’ advice for more information. Some long-haired coated pets can benefit from grooming during the summer months. Talk to your vet or professional groomer about the options available to you and your pet. This is another goes without saying tip, but we’re asking you to think about this a little more in depth. Campfires and BBQs can be dangerous for your pets for the obvious reasons of stray sparks, hot metals, etc but other issues around stray food can be deadly for your pets too. Keep your pet away from foods that are bad for them, and ask your guests to respectfully not feed your animals. If you think your guests might not be able to resist, consider keeping small amounts of pet-safe treats handy! 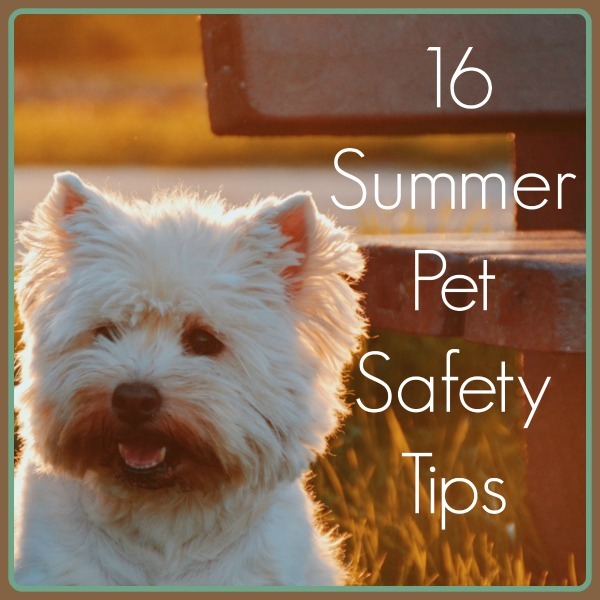 Lots of tips there to keep you and your pets happy during the summer months. If you’re going somewhere nice, either abroad or at home, we hope the weather is good and you and your pets have a lovely time. Why not share some of your best holiday selfies with you and your furry friends on our Facebook or Twitter pages?